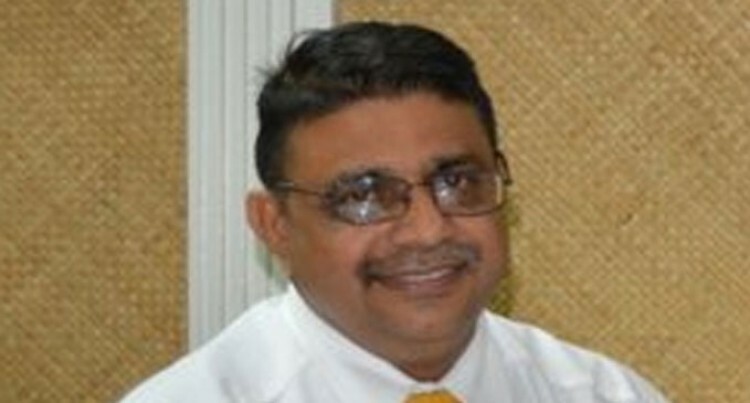 Rewa Rice Limited chairman, Raj Sharma, has revealed that the production cost of rice in Fiji is two times more than the imported rice. It is costing Rewa Rice $1.60 per kg in terms of production whereas the rice sold in supermarket is around $1 per kg. This was one of the things presented by the working group for Agriculture and Sugar industry at the Special Budget Forum organised by the Minister for Finance Aiyaz Sayed-Khaiyum on Saturday. Owner of Marco Polo in Garden City Raiwai, Yee Wah Sing, presenting on behalf of the group, concluded the production was very inefficient and very hard to compete against outside imports. “So that requires major investment and look at the how people are doing the work,” he said. The Ministry of Agriculture has already introduced mechanical harvesters for rice which Mr Sharma said has added value to reduce cost. “For Rewa Rice, we are looking at the mechanical aspect which has been implemented by Government, how it can be further enhanced to other areas,” he said. The private sector has therefore called on Government to look at more ways to modernising the agricultural industry, in particular the rice industry. Mr Wah Sing acknowledged there is a lot of potential in this industry when looking at it from import substitution point of view. “There are a lot of incentives offered in the rice industry but there is very little uptake,” he said. Rewa Rice is not being entirely dependent on Government and has already started working out ways to increase production. Mr Sharma said they have called for expressions of interest from farmers in the Dreketi irrigation areas or rainfed areas in the Northern Division who would be interested to sub-lease their land to Rewa Rice. “We have seen that farmers have moved out and the farms have been left idle,” he said. “So from Rewa Rice point of view, there is an expression of interest being called from the farmers if they intend to sub-lease or have Rewa Rice to come and plant on their farms. Mr Sharma said they are trying to get a feasibility done as to how many farmers intend to give them their land back to plant rice. Government continuously has been providing subsidy to the farmers to give them sustainable returns. Mr Sharma said there is about $100 per tonne extra subsidised by Government for that. Meanwhile, although the private sector is appreciative of the Government incentives for the agricultural sector, it feels some of these incentives are not working out well. Mr Wah Sing said one of the concerns in the agricultural sector was the right policies must be made at the start and full commitment must be made. The group looked at the scholarships and grants announced by Government for encourage students to go into farming. “What we found in reality in the last two years was that the target group and the implementation of that programme has not been a success,” he said.